These kits provide you with everything you need to quickly assemble this adorable mini quilt. It comes with a pattern, pre-fused laser cut pieces, quilt top, sashing and binding fabrics. The kits lets you get these adorable mini quilts together quickly and perfectly for those busy quilters! He is covered in snow with snowflake buttons. 12" X 12" . 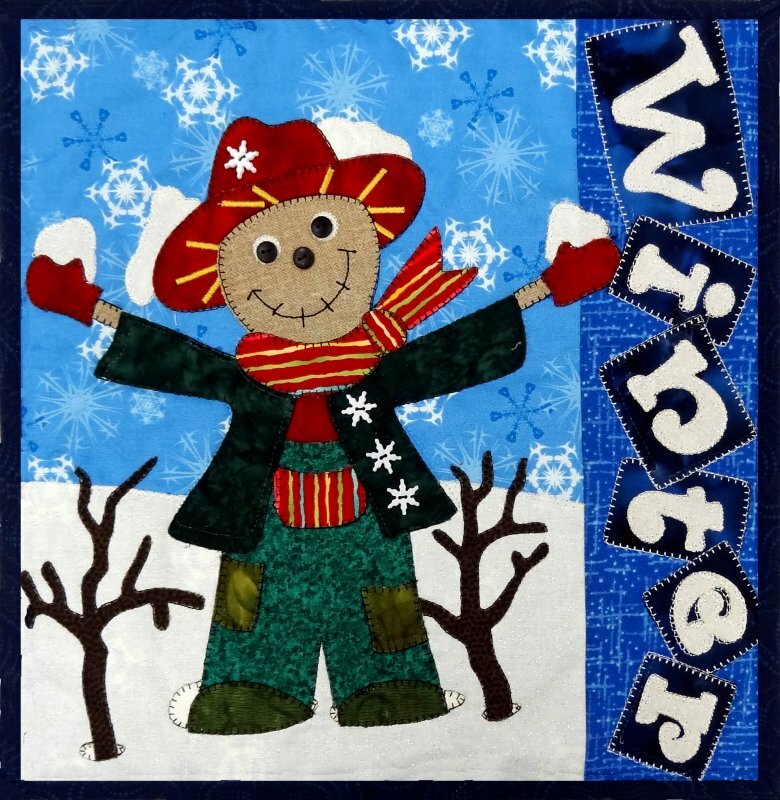 Great as a stand alone hung on a wire frame or combine with others, add sashing and make a small wallhanging or quilt when combined with the other three seasons. Button Pack available!